I also have a shop Emma Love Pie, and instagram as emma_crochets! As a young girl I was very crafty. 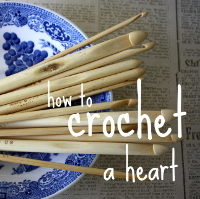 I knitted and embroided, and learnt to crochet when my Grandmother came to stay with us. After school I got a diploma in Fine Art and an Advanced Diploma in Art Photography and Printmaking. Fast forward a few years and I became a mother to three boys. I rediscovered my love of craft and became a little obsessed with crochet! I live in Sydney Australia, but love being in contact with crafters all around the world. How did you decide on the name for your blog\shop? I had another blog before I started this one, a family blog with milestones and updates. I reached a point where I felt that blog had come to an end. 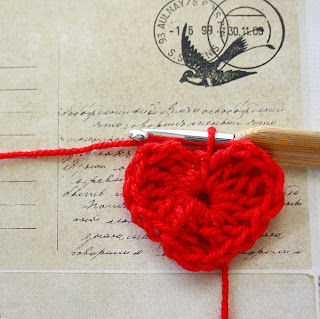 I still wanted to blog, and thought about a crochet blog. The name just came to me! I initially had the idea of compiling many different heart patterns, but it has become so much more! My shop name doesn't have a great story. Emma Lovepie. I was thinking along the lines of something cute like 'sweetie-pie' but wanted my name in there too. How long have you been blogging or how long has your shop been open and why did you start? I've been blogging for almost 4 years. This blog has been around since July 2012. My Etsy shop has been open for just over a year now. What is your favourite item\pattern on\in your blog\shop at the moment that you would like to talk about? What made you start ….? My Mother and Grandmother were both huge influences. They are always making something. I find I have to keep myself busy. When my boys were very young and sleeping half the day, I found myself playing a lot of suduko and farmville. I finally put that need to keep busy to good use when I picked up my crochet hooks again. I'll hope you'll all join me in thanking Emma & visit all her sites! The hearts are beautiful!! Thanks for sharing! I will let Emma know.